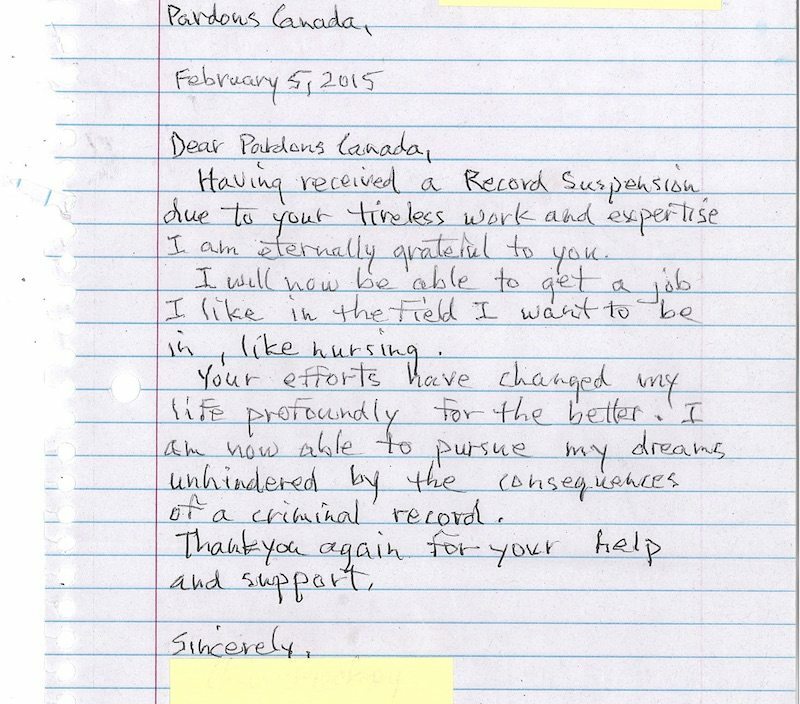 Each week we receive many thank you letters from people we have helped to obtain a pardon or record suspension or US Entry Waiver. Having a criminal record can be a huge emotional burden for many years as people feel that they are labeled a criminal and that their freedom is compromised by having a criminal record. There is a huge sense of relief once the pardon is granted because the person no longer carries the weight of the old criminal record. Many people are not aware that they can remove a criminal record by way of pardon/record suspension so they carry the burden for many years and even decades. Once they complete the process of obtaining the pardon they express gratitude.